“Oil Pulling? More like: Oil Pulling my leg.” That is what I thought as my wife recently explained to me this new holistic trend. Oil pulling, a therapy started by the Indians to prevent tooth decay and promote teeth whitening, is what everyone has been blogging about lately. If you are asking “What is oil pulling?” you are much like I was. It is essentially swishing with a coconut or sesame oil for ten to twenty minutes a day, while focusing on “pulling” the oil between your teeth. Do this once or twice a day for a few weeks and you will stop tooth decay, and start whitening your teeth, or so these bloggers claim. After hearing my wife through, and reading a lot of blogs, I did what any scientifically trained dentist is taught to do. I went to seek out the peer-reviewed research on the subject. Expecting to find nothing, I searched the web. My jaw hit my keyboard when I viewed a triple-blind oil pulling study on my computer screen. I am talking about good, solid, and peer-reviewed information. Gathering myself together I was now ready to read about this myth-busted tradition. My jaw fell again, this time reaching the floor, when I examined the research on how this technique actually has merit. In fact, oil pulling significantly reduces plaque and cavity forming bacteria in the mouth. Humbled by scientific data, yet stubborn to prove an original point, I will now show how for the health conscious and holistic consumer oil pulling is something to consider. Here is what we know from the Journal of the Indian Society of Pedodontics & Preventive Dentistry. When the leading prescription mouthwash was put up against oil pulling for ten minutes a day, the mouthwash wins for both destroying plaque and preventing cavities. The mouthwash reduces plaque and cavity bacteria significantly within twenty-four hours. However, the slow and steady oil pulling does show significant reduction in plaque after a week. Research for oil pulling and its effects on teeth whitening is said to be published within the year. My guess is that it will show oil pulling to be slightly effective, and about as effective as Colgate’s tooth whitening toothpaste. Holistic medicine is on the rise. Do we need to put foreign chemicals in our mouths to reduce all of our ailments? Probably not as much as we think. Holistic medicine has its place in the medical and dental community. There are very good holistic options on the rise for invasive dentistry, such as ozone therapy. However, holistic remedies work best in preventive aspects. Oil pulling borders on both invasive and preventive dentistry. It is proven to be effective. To the anti-western medicine consumer it might be worth the ten minutes a day to rid yourself of cavities. On the other hand, most people with gum disease and cavities do not even do the recommended two minutes of brushing and one minute of flossing a day. Why would they faithfully swish for ten minutes? Oil pulling is going to keep popping up every ten to twenty years as a hidden truth rediscovered. It will flourish as a fad generally and individually. Most people will grow tired of the dedication it will take to proceed. Then, there are a few that will fall into both the health-conscious and holistic categories. It is to that narrow group of people that I highly recommend oil pulling. 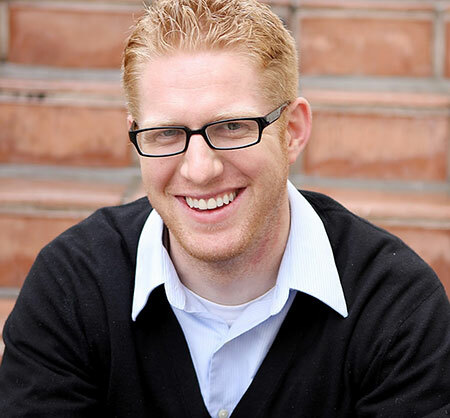 Dr. Richard Buck graduated from UOP School of Dentistry in 2007. After graduation he returned here to his home town, Alta Loma, to join Baseline Dental Practice.